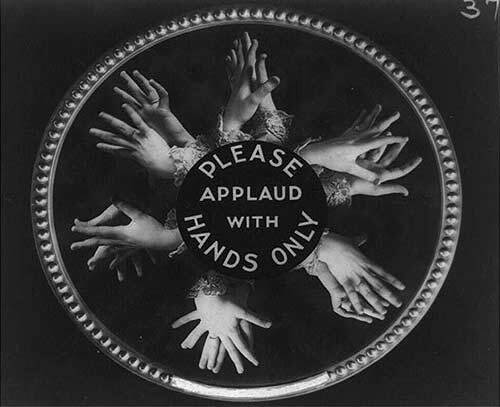 Do you practice good theater etiquette by making sure your cell phones are turned off or on silent? 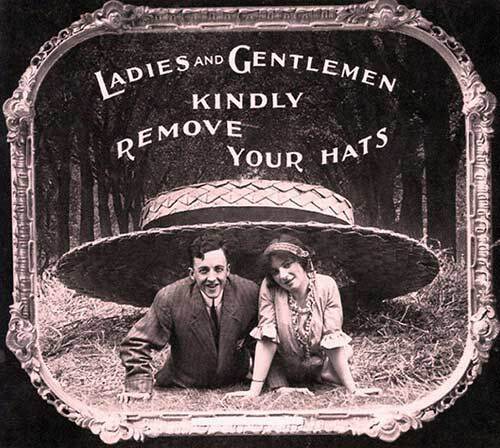 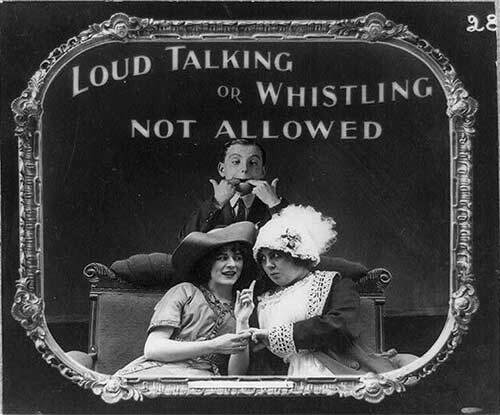 Moviegoers in 1912 didn’t have to worry about that problem, but they did have their own set of etiquette rules. 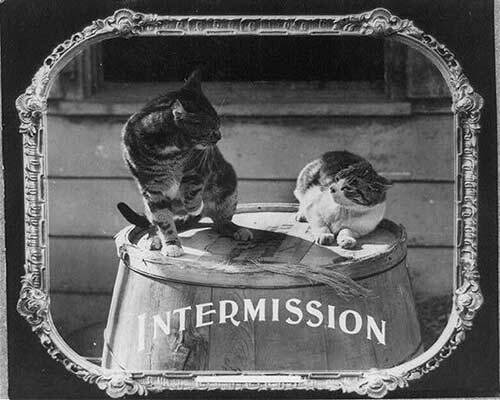 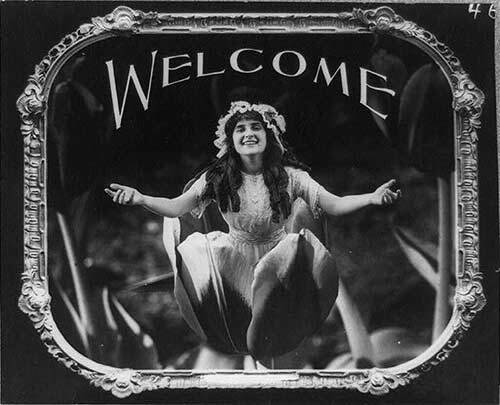 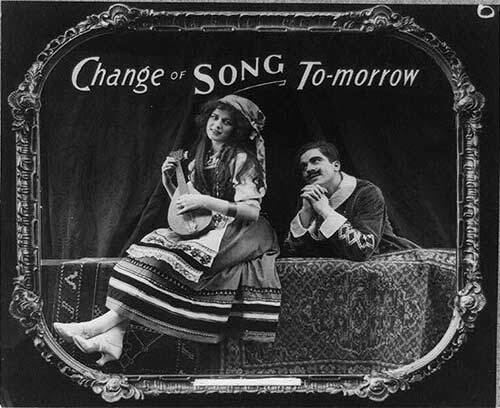 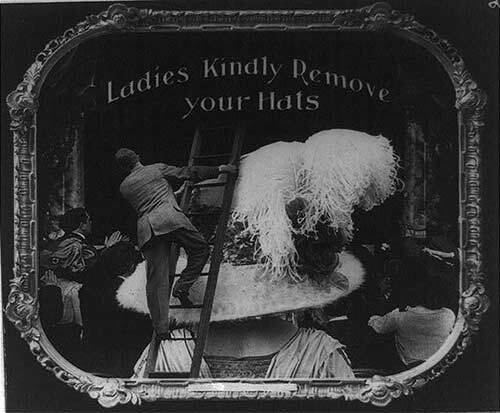 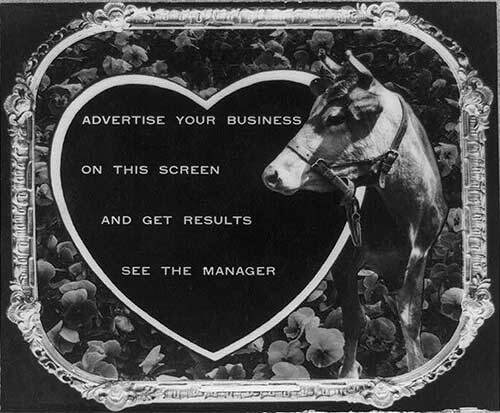 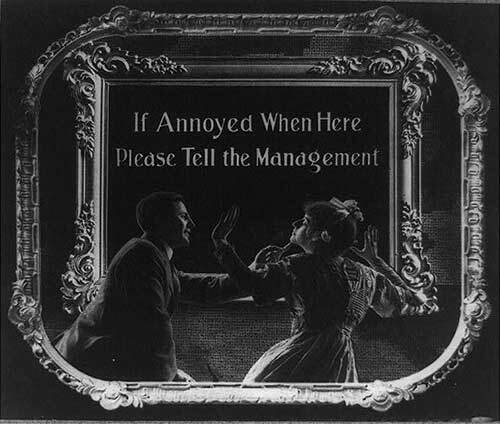 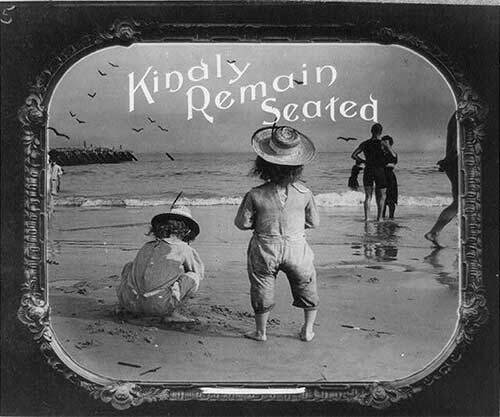 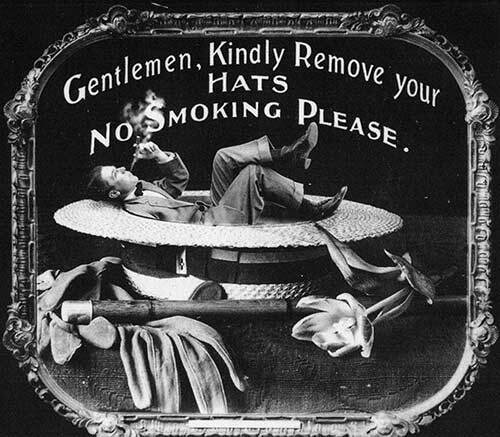 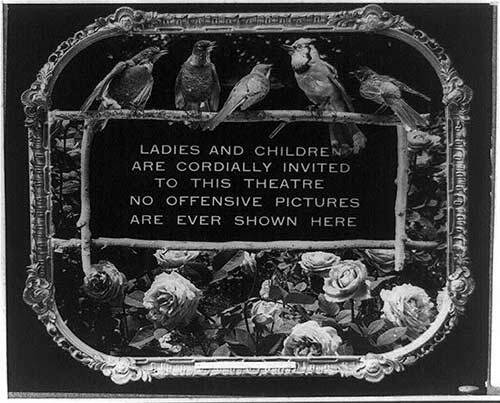 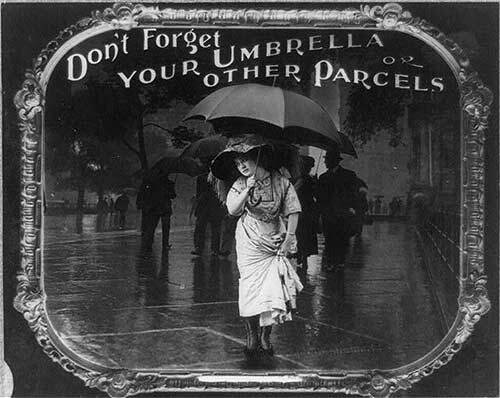 Check out these hilarious movie prints from 1912 released by the Library of Congress that depict theatre “etiquette.” The paper prints are taken from lantern slides used in motion picture theaters as announcements shown during a film, which at that time was silent (sound didn’t become prevalent until the 1920s). 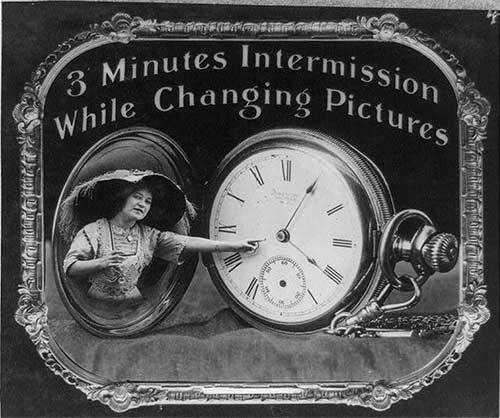 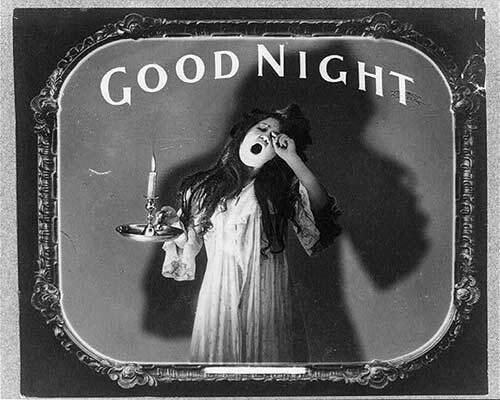 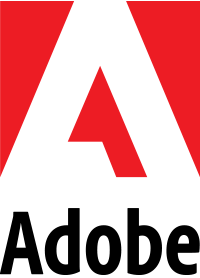 A September 2013 report by the Library of Congress announced that a total of 70% of American silent films are believed to be completely lost.